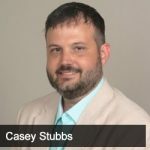 Gary Pinkerton talks with Casey Stubbs, United States Army Veteran, online marketing expert, and host of Finance & Markets Cashflow Hacking Podcast. Casey and Gary discuss the two sides of every business, his past in the armed forces, lessons learned from creating his startups, and how to go about leveling up your business. Also, Gary welcomes you to come watch the Cash Flow Wealth Summit that begins tomorrow! [27:26] As Casey tries to level up his business, he needs to change. So how is he doing that?